Could be. Though Fidelity is not especially known for its sense of humor. 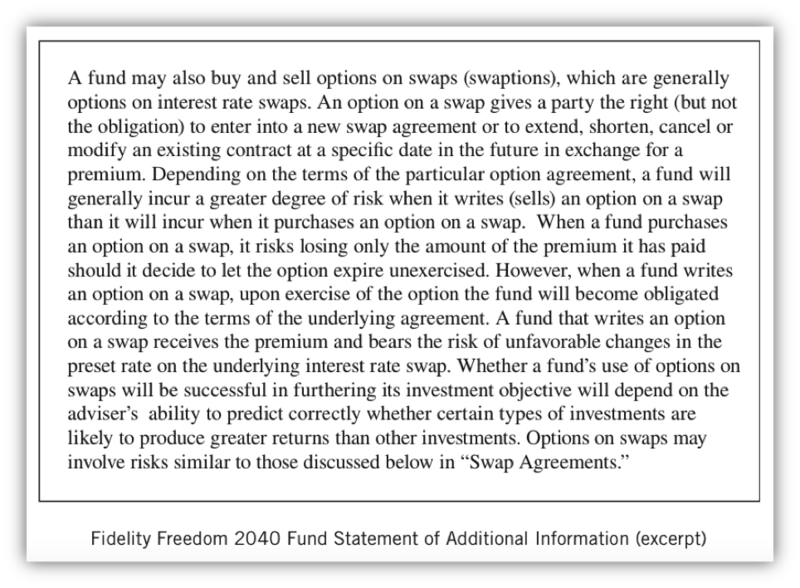 So, what are we to make of this excerpt from Fidelity’s Freedom 2040 Fund Statement of Additional Information? What could it possibly be trying to communicate to us? More than half of all U.S. households own mutual funds. It’s reasonable to assume that most of these households do not contain a financial professional. (Or a lawyer.) So for whom exactly is Fidelity writing? Is this language the average investor is supposed to comprehend? Click here to continue reading at TheStreet.com.